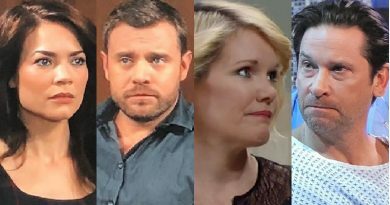 General Hospital spoilers reveal Ava Jerome is ready to face Ryan Chamberlain and make him pay for killing her kid and destroying her life. 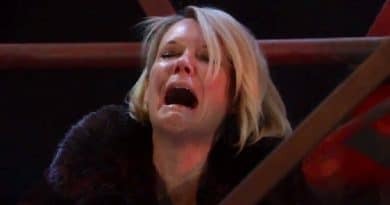 General Hospital spoilers promise drunk and angry Ava Jerome runs into the real Kevin Collins while plotting to destroy Ryan Chamberlain. ‘General Hospital’ Spoilers: Ryan Hinted Ava’s Pregnant – Sick Souvenir of Serial Killer? General Hospital spoilers wonder if Ryan Chamberlain left Ava Jerome with a special souvenir. The killer dropped hints she might be pregnant. ‘General Hospital Spoilers: Ryan’s True Love – Ava or Killing People? 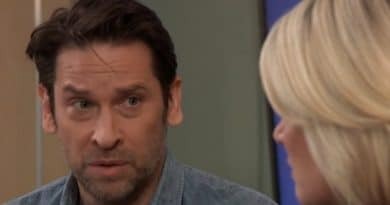 General Hospital spoilers predict Ryan Chamberlain is torn between his love of being a homicidal maniac and his love for fiance Ava Jerome.